Supreme Court Limits Asset Forfeiture, Rules Excessive Fines Apply To States Justice Ruth Bader Ginsburg wrote the opinion and announced it on just her second day back at court after surgery for lung cancer late last year. Crews remove early morning snow during a winter storm at the Supreme Court on Wednesday. It's not unusual for the high court to be open when the rest of Washington is closed. The U.S. Supreme Court ruled unanimously Wednesday that the Constitution's ban on excessive fines applies to state and local governments, thus limiting their ability to use fines to raise revenue. The court's decision, written by Justice Ruth Bader Ginsburg, was announced by her on her second day back at the court. Ginsburg missed in-person arguments at the court for the first time in her quarter century on the Supreme Court bench after undergoing surgery for lung cancer late last year. The court's opinion came in the case of Tyson Timbs, whose $42,000 Land Rover was seized by the state of Indiana after he was arrested for selling a small amount of heroin to undercover cops for $400. An Indiana trial court ruled that the fine was grossly disproportionate punishment on top of other fines and a year of house detention. The state Supreme Court ruled that the Constitution's ban on excessive fines does not apply to the states. 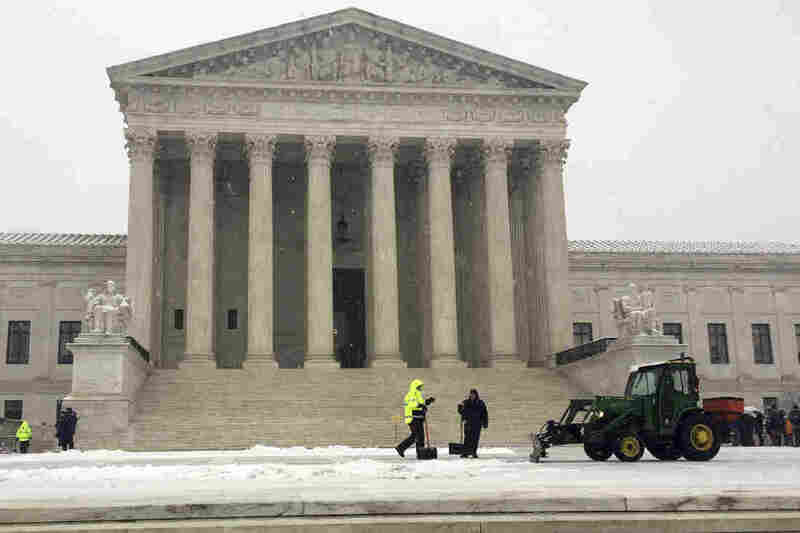 But Wednesday, the U.S. Supreme Court, open during a snowstorm, disagreed with the Indiana Supreme Court. "Forfeiture of the Land Rover, the court determined, would be grossly disproportionate to the gravity of Timbs's offense," Ginsburg wrote. She also noted that the ban on excessive fines was added to the Bill of Rights for the purpose of protecting individual liberty. "Protection against excessive fines has been a constant shield throughout Anglo-American history for good reason: Such fines undermine other liberties." She noted that those fines could be used to retaliate against political enemies and have been used as a source of revenue. The ruling effectively means states and local municipalities cannot use fines as a mechanism for raising revenue, something many local governments do. As for the snow, it's not unusual for the high court to be open when the rest of Washington is closed. It's sort of a tradition. The last two chief justices were raised in the snowy Midwest, and the justices seem to enjoy being the hardiest branch of government.